Stay in the middle of the gay 'hood at The Manor—you're within walking distance to the bars, but the atmosphere is peaceful and relaxed. Besides the great location, this quaint property is popular for its refined rooms and excellent service. We stop the car when we saw Manor inn, in the front desk they have a business card and then I call the cellphone. I rented the place for one night, have dinner and some drinks in gay venue, which is in a walking distance. Nothing else to say than thank you for the walking stay. OMG!! the add says: "this quaint property is popular for its refined rooms and excellent service." This could not be more false! This place is a dump and needs to be torn down and rebuilt! I really think its a shame that people can advertise anywhere without being evaluated by the the media they advertise in! Let's be real..i wouldn't pay more than $69.00/night instead of the $169.00/night this slum is charging! It's a run down place, quick fixed and badly, the beds are not comfortable and beside its location, it has nothing to offer but deception. Don't stay here unless you REALLY have to. The rooms are small and filled with tacky, broken things. Chips falling from the ceiling. The pool area if filled with broken furniture. Creepy people hanging around. AND its $145 a night! OMG. A sty. If the owner had not made me pay for my three nights upfront with no return I would be so out of here. The pits. Live and learn. When I arrived, my reservation had been changed without my consent, costing me an additional, non refundable, $80.00. This is no tropical resort. It's someone with a fairly nice, older home, renting out both his spare bedrooms, as well as 2 more next door. The walls are paper thin, forcing the tennent to hear the owners TV all night long. There are no blankets and the heater is derilict at best. Between the mortuary like atmosphere, the noise, and freezing, I got zero sleep and caught a bad cold my first night. I left, eating the non-refundable $340.00 charge for the next two nights. Spare yourself the grief, and go elsewhere. The gay district of Wilton Manors consists of a series of bars along a busy strip of highway. If you want to hit the bars, but don’t want to risk a DUI, the Manor Inn is one of the few options you have. The exterior of the building looks a bit run-down, with overgrown plants and in need of a coat of paint. My room itself was clean, though, with thrift shop furniture and mismatched towels. There was an ancient computer and equally dated sound system with a cassette deck. To be fair, though, there was also a flat screen TV and free wi-fi. Breakfast was extremely basic: coffee, orange juice, packaged rolls, yogurt and fruit. I didn’t see the owner-manager very much, and when I did, he didn’t seem too concerned about whether or not I was enjoying my stay. Overall, I had a good time at some of the bars and restaurants, but don’t have any real desire to return to either the town or the B & B.
I and my Navajo partner of 11 years will be traveling to Ft. La in April. I went to this place's website and thought it looked great. The website does not let you make reservations. You have to call or email. Well, I called, left a message and never received a re-call. I TRIED to send an email, but with all the crap you had to go thru, after 20 minutes I xncled my request. I called again, and when whoever answered asked me when I was coming and for how long, he told me that he doesn't take reservations for less that a 3-day weekend. OK! I won't be in La-dee-da for three days. He hung up on me. How rude! Manor Inn couldn't be more convenient to the gay traveller that wants to walk to everything just a few blocks away in Wilton Manors. Yet it's located on a residential street that allows for peace and quiet on the premises despite the nearby disco speakers, restaurant chatter, traffic, and drunk pedestrians. The backyard is a lush, tiki-like area with a heated pool, secluded jacuzzi, and even an outdoor bathroom (named "Take A Leaky") and shower, which emulates a camping experience if used instead of the same facilities in the guest rooms. Kip Wingo is a great host, and his no-smoking policy, while a bit inconvenient for tobacco-lovers, is essential to the clean, tranquil, friendly atmosphere that he and housekeeper William maintain through daily labors of love. If you need a tour guide, or just want some company for lunch or bar-hopping, Kip is usually eager to join you, but he also respects the privacy of those that want to be left alone until they need assistance. Staying at the Manor Inn feels like temporarily living in your own apartment in the heart of Wilton Manors, with great roommates and a terrific landlord. Be sure to take advantage of the equally gay-centric FAB shuttle to and from the Manor Inn to save about $40 round trip compared to taxi service, while experiencing a luxury ride in a spacious Mercedes. I just returned to Canada after spending a week in Ft. Lauderdale at the Manor Inn. I almost didn't stay there based on a negative review that was just unecessary. While clean is subjective, the definition of the level of clean they experienced while staying at the Manor Inn was truly not my experience. There is no question you are getting what you pay for. The room I had was clean and comfortable. It was serviced when I requested it to be. I did not feel that I ever had to vacate it when it wasn't convenient. Several times during my stay the host enquired about my room, and asked if I needed anything. If you do your research you know this is not a ***** star resort, if that is what you thought you were getting for the price..I am very confused. Location Location Location..that is the benefit...My stay was pleasant and my partner and I will be returning in March. Came here because my BF had stayed here with great pleasure over a number of years, and found out why... a great quiet place with tranquility and peace just a few feet away from all the activity in the area! (did not move the car once after arriving...) this B&B is small and well- maintained by a caring host who supported our stay with great efficiency while never intruding - went out of his way on several occasions to provide support and assistance..... Our room, while small, had everything we needed - and was quiet, clean and ready for us to relax and enjoy, either in the room or poolside! Drinks here are toooo expensive! Prices are much higher then others on the drive! disappointed. The place was average at best, overpriced, dirty pool, run down, no room service, dirty towels, broken TVs and doors, . Sad as it has potential but no effort for upkeep. Same prices right up the street at The Aragon, GOP THERE! 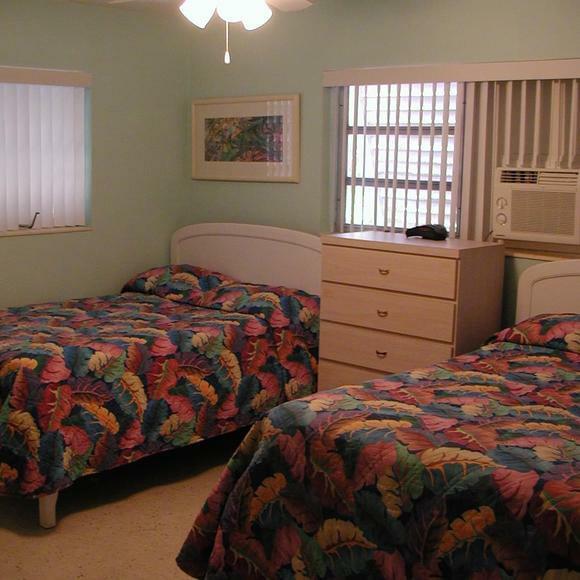 Small, three room inn near EVERYTHING in Wilton Manors. Wonderful host who lives on property and is happy to help with any local questions. Don't be a smoker (fine by me), since this is a refreshing non-smoking environment. I send all my friends here.